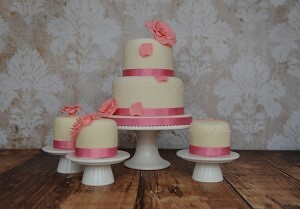 Fondant or Buttercream Wedding Cake? 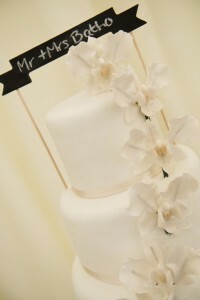 There are so many decisions to make when choosing your wedding cake, flowers, number of tiers, flavours and SO many more. No wonder couples find it a little daunting when we discuss their cake design during our wedding cake consultations (with the help of sample cakes of course!). One of the main questions couples have to decide on is whether to have a traditional fondant covered wedding cake or a more rustic, contemporary buttercream cake. The first thing to consider is which you both prefer the taste of, fondant icing or buttercream frosting? 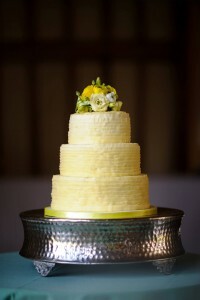 Let’s face it your wedding cake needs to look amazing, but most importantly taste delicious! What’s the point in having a beautiful wedding cake that you’ve spent time choosing, your cake designer has spent hours making but you don’t like the flavour or texture of the fondant or buttercream frosting! The next consideration is the design of the cake. If you are having a pretty English country wedding or rustic barn wedding with lots of fresh flowers or burlap and hay bales; then a rustic buttercream frosted wedding cake would fit in beautifully with the feel and design of the day. If you love the idea of lots of beautiful sugar flowers, you may want to consider fondant icing as this is much firmer and will hold the weight of the sugar flowers well. Another thing to think of is the number of tiers your cake is going to have and whether you are opting for traditional fruit cake covered with a thin layer of marzipan then a layer of fondant icing, or sponge cake, which works well with either fondant icing or buttercream frosting. If you choose to have a huge five tier wedding cake then buttercream is not advisable. The weight of the tiers, as well as the buttercream (which is surprisingly heavy!) could result in your gorgeous cake collapsing into an unappetising pile of mush! No couple wants to see that on their wedding day! 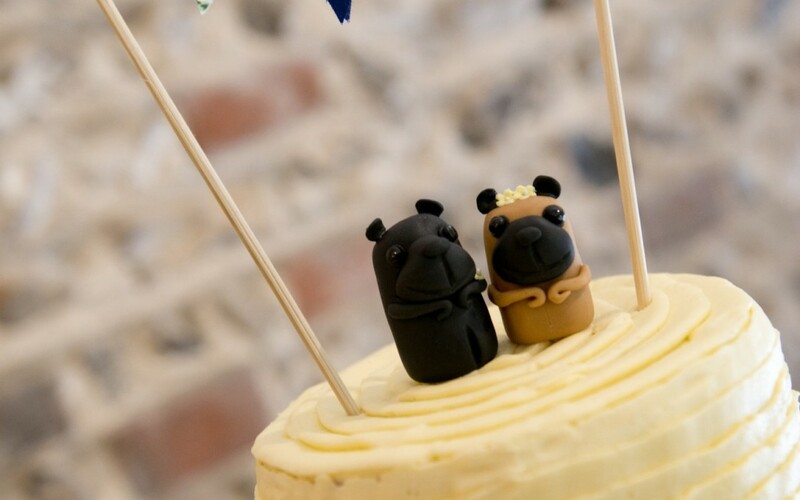 A final very important factor to consider is the weather, temperature and positioning of the cake at the venue. A gorgeous rustic buttercream wedding cake could turn into a cake disaster on a hot summer’s day; especially if it’s positioned in a window! You DO NOT want to see your decorations or flowers sliding off the cake as it melts in the summer heat! 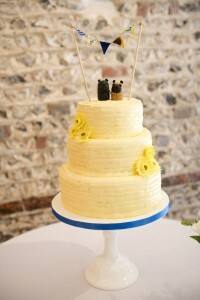 I’m not saying that if you are planning a summer wedding you should avoid buttercream frosted cakes completely; but it’s definitely a good idea to chat to the wedding venue, work out where the cake will be positioned and if there is an alternative place for it should the heat be too intense.